In this Dec. 13, 2017, file photo, Will Smith arrives at the U.S. premiere of "Bright" in Los Angeles. When Smith turns 50 on Tuesday, Sept. 25, 2018, he will jump head-first into the big milestone. The “Fresh Prince” plans to bungee jump from a helicopter over a gorge just outside Grand Canyon National Park. His birthday activity is the latest in a vast history of outrageous stunts staged in and around one of the world’s seven natural wonders. At the end of the 1991 movie "Thelma & Louise," the two leading ladies — fugitives cornered by authorities in the Grand Canyon — decide against surrendering and instead drive off a cliff. 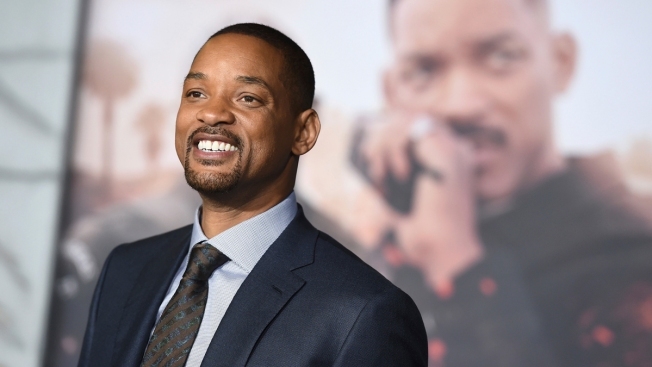 The latest planned feat will be Tuesday when actor Will Smith celebrates his 50th birthday by bungee jumping from a helicopter. While it's been billed as a leap "in the heart of the Grand Canyon," it actually will take place over a smaller gorge on the Navajo Nation, a tribe whose reservation borders the east rim of the national park.